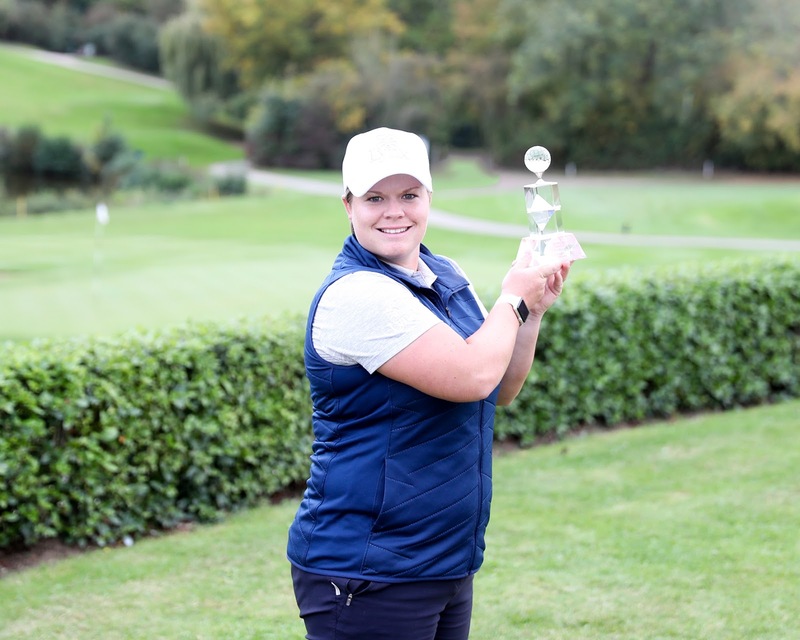 Lydia Hall completed a wire to wire victory in the WPGA International Challenge at Stoke by Nayland but there were a few unplanned diversions en route. 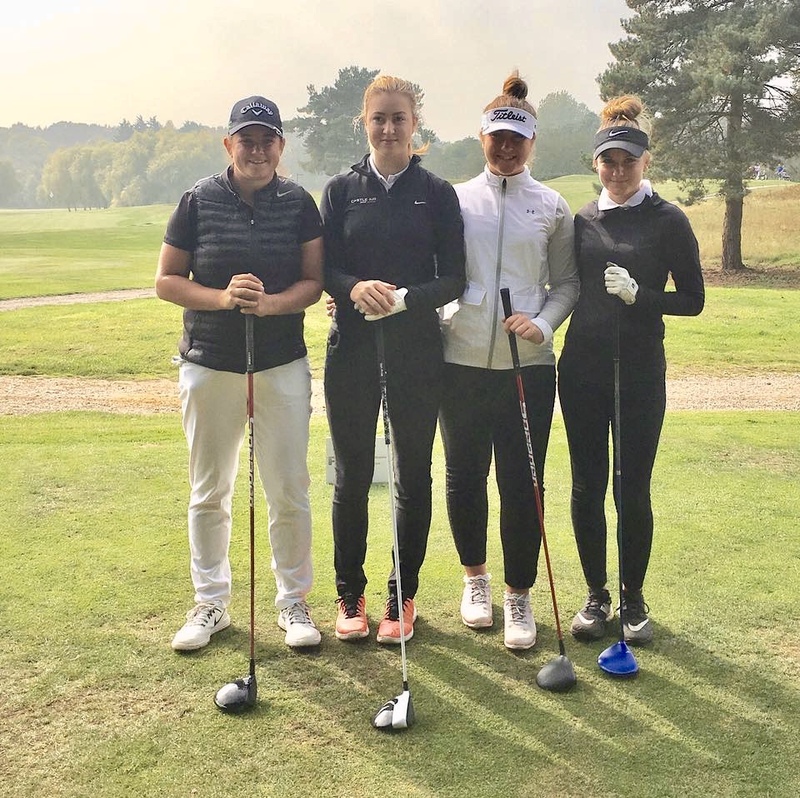 Not least the sudden-death play-off with France’s Ines Escudier following a two shot swing on the par-three final hole on the Gainsborough course at the Suffolk resort. Escudier, who began the day four shots behind Hall, birdied it for a six-under par round of 66 and complete the tournament’s 54-holes in nine-under. Hall, by contrast, bogeyed it in a scenario that was reminiscent of her visit to the hole in the first round. On both occasions the ball flirted with the cup before refusing to drop. For anyone conversant with Monopoly, this was a golfing example of ‘do not pass go and do not collect £200’ or, in this case, the €5,000 that goes to the winner of the penultimate event in the LET Access Series (LETAS). Back up the 18th the pair went but it was the 29-year-old from Wales who appeared least fazed by the drama. While the PGA Assistant deposited her tee shot eight foot from the pin, her opponent overcooked hers and cleared the green. Two chips later and a tap-in saw her down in four leaving Hall with two putts to claim the cut-glass trophy and winner’s cheque. Both were needed. She sent the first scooting past the hole and was left to sink a six-foot putt for victory. Curiously the putting shenanigans on the 18th were at odds with what Hall, a Ladies European Tour winner, cites as key to her first victory in a LETAS tournament. “The win was down to my putting again,” said Hall, who recently spent time in Abu Dhabi concentrating on honing that side of her game and making a couple of changes. That trio (pictured above) comprising Scotland’s Michele Thomson, Emma Nilsson of Sweden, and Spain’s Luna Sobron finished two shots behind Hall and Escudier on seven-under to win €1650 apiece. Escudier, who turned pro in 2015, earned just over twice that sum for achieving what is the best result of her short career. However, it would be no surprise if the 25-year-old was left pondering what might have been. Not the wayward tee shot in the play-off, nor the miscued chip that followed but her second round display. Escudier began and ended the tournament with six-under par rounds of 66. These bookended a three-over par 75 that clearly sabotaged her chances of winning. Hall also went off the boil in the second round, following up her seven-under par opener with one of level par to allow Noemi Jimenez and Thomson to draw level. Unlike Escudier, it was an unplanned diversion she was able to negotiate.